What are the Primary Causes of Bus Accidents? The primary causes of bus accidents are driver error, company mismanagement, and faulty products. How Are Victims Injured In Chicago Bus Accidents? 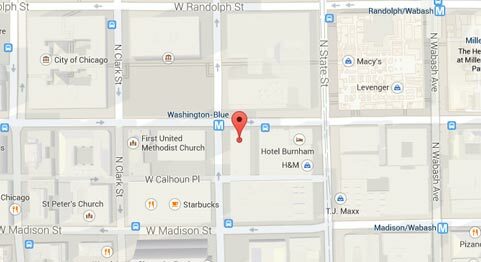 How Do Victims Recover For Chicago Bus Accident Injuries? Want To Learn More About Illinois Bus Accident Dangers? 1. DRIVER ERROR: By far, the most common reason for bus accidents is driver negligence. This means that the bus driver was not operating the vehicle in a reasonable and safe fashion compared to other drivers in similar circumstances. Examples of negligent conduct include: turning the bus without signaling, failing to yield to pedestrians, speeding , and driving while intoxicated . 2. 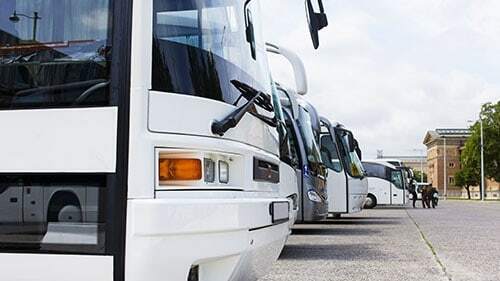 COMPANY MANAGEMENT: Of course, the company or government agency that employs a particular bus driver can be the cause of an accident as well and even vicariously liable for his or her negligent conduct. They are responsible because the drivers are under their supervision and control. Therefore, if the company or agency does not hire, train, supervise, or otherwise monitor them well enough then that can be the legal cause of a bus accident. It is important to discern if this was the case in your circumstances because typically companies and government agencies are in a better position to pay for your injuries than the bus driver who actually harmed you. 3. FAULTY PRODUCTS: Your bus accident may also have been the result of a faulty product . It is not hard to imagine how a broken taillight, malfunctioning wheel, or deficient steering wheel could have failed the driver who then hit you. Of course, the driver and his or her employer might still be on the hook but because the origin of this incident stemmed from the inadequate part you should still be able to go after its maker or distributor. This list only covers the most common bus accident situations. Your case might look nothing at all like this. To identify if your incident might lead to a possible lawsuit and future recovery, please read our article covering bus accident claims and potential defendants. You can read that here. To learn more about common causes of bus accidents, click here. While it is impossible to predict exactly how you would be hurt in a bus accident, it is easy to point out some vulnerabilities: 1) bones: more often than not, the force of bus accidents breaks bones in the hand, fingers, legs, arms, back and other areas across the body; 2) skin: the speed and tumult of these incidents often sends objects into the air and they frequently pierce the skin of riders causing scars and serious lacerations; 3) back/neck: the sensitive construction of the back and neck normally means they get impaired during or after a bus crash; and 4) head: even with restraints and air bags, bus passengers often injure their heads and get concussions. These are some of the most common injuries that result from Chicago bus accidents. To figure out if your harms are from a similar event, contact our offices. The most common way that victims recover for their Chicago bus accident injuries is by filing a lawsuit. In that scenario, they bring a case before a jury and attempt to obtain a favorable verdict and award. Alternatively, victims could select to engage in private, settlement negotiations. This would speed up the process and free them from the procedural constraints of trial. Victims could also pursue reimbursement from the driver's employer, insurance carrier, or other representative. As you can see, there are many options available to you if you are involved in a bus accident. However, it is important to realize and weigh all of them so that you receive the most compensation possible under Illinois law. Thousands of buses ride around Illinois daily and hundreds of thousands of people ride upon them. Accidents are inevitable. However, this doesn't mean you shouldn't be prepared for them. Contact our offices and someone from Rosenfeld Injury Lawyers LLC can explain the risks of bus accidents and opportunities of legal recovery. There are many options at your disposal if you get hurt and we can help you achieve them all. How Can Rosenfeld Injury Lawyers Help Me With An Illinois Bus Accident Case? How Does Illinois Law Govern Personal Injury Claims Related To Bus Accidents? How Long Do I Have To Bring My Bus Accident Lawsuit? Is Suing A Public Bus Company Any Different Than Suing A Private Bus Company? What Are Some Facts About Bus Accidents In Illinois? What Should I Do If I Am Injured In An Illinois Bus Accident? What Type Of Financial Compensation Can I Recover For Injuries Sustained In An Illinois Bus Accident? What are the most common causes of bus accidents? What type of compensation can I get for injuries related to a bus crash? How long do I have to file an Illinois bus accident lawsuit?